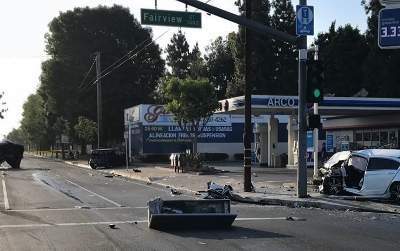 The crash happened at W. First and N. Fairview streets at about 4 a.m. and involved three vehicles and a bicyclist, according to the SAPD. Both vehicles then struck a truck. 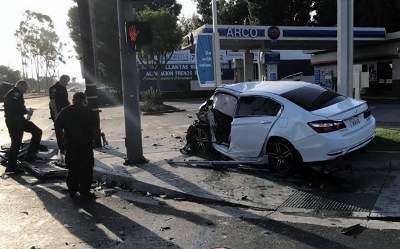 The truck was thrown about 60 to 80 feet and the Honda veered and struck a man who was on a bike waiting on the corner. The Cube ran into a wall and the driver then got out and ran into a nearby ice cream-manufacturing business. The driver eventually told the police that an employee at that business, who did not speak English, was the driver of the Cube. However the employee said that was not true and the suspect then got into a fight with the officers who used a Taser to subdue him. 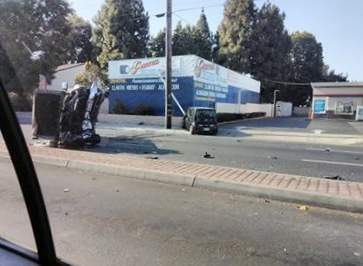 Police believe that suspect may have also been involved in a previous crash. He was arrested but not identified. 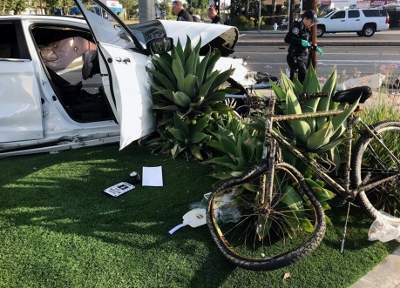 The bicyclist, the truck driver and two people that were in the Honda were hospitalized as trauma patients with injuries describes as not life-threatening. As of an hour ago Westbound lanes are now open, however the left turn pocket to south Fairview remains closed. All eastbound lanes from Fairview to Sullivan remain close.